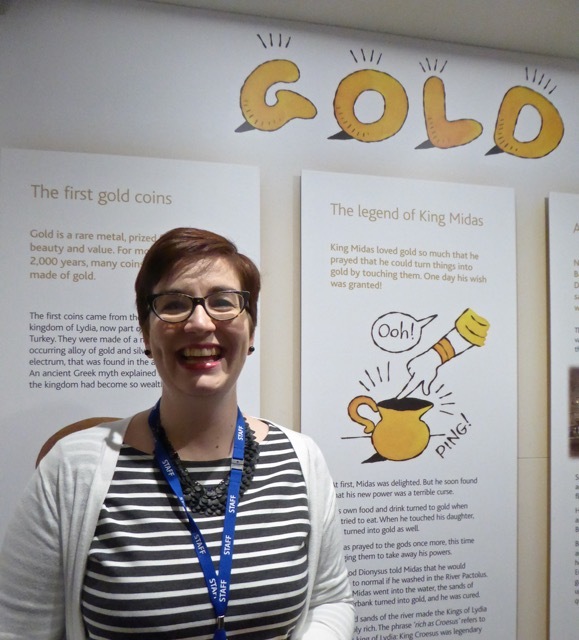 Briefly called in yesterday to see Jenni Adam, curator of the Bank of England Museum, who commissioned me last year to do some work for the museum’s fab Gold display. Great to see Jenni again, and my illustrations and text on the museum’s wall! Afterwards had a cup of tea in a tiny cafe in nearby St Mary Woolnoth, a Hawksmoor church. There’s been a church here since the 12C, the first one probably built over a Roman temple. The crypt was once used as a ticket office for Bank station underneath it. 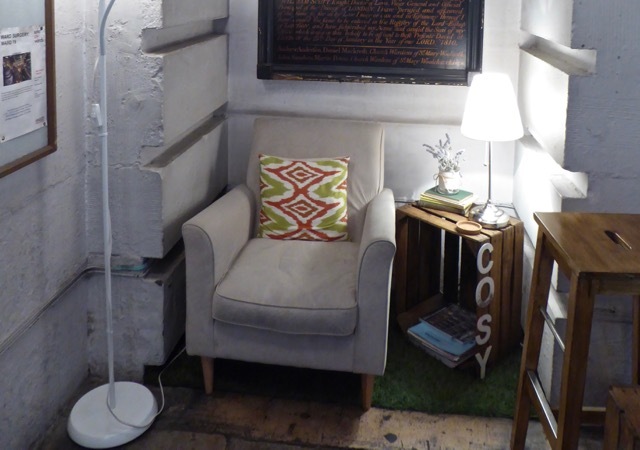 You can sit in the cafe’s only armchair in peace and warmth, drinking tea and reading one of its poetry books. This entry was posted in Drawings, Exhibitions and tagged Bank of England, Bank of England Gold display, Bank of England Museum, exhibition, Hawksmoor, St Mary Woolnoth, wall display. Bookmark the permalink.